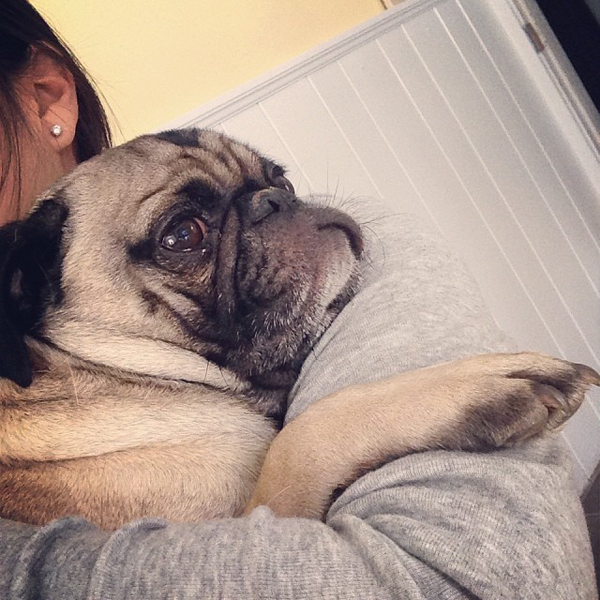 I think the pugs get extra needy when Aaron is gone. 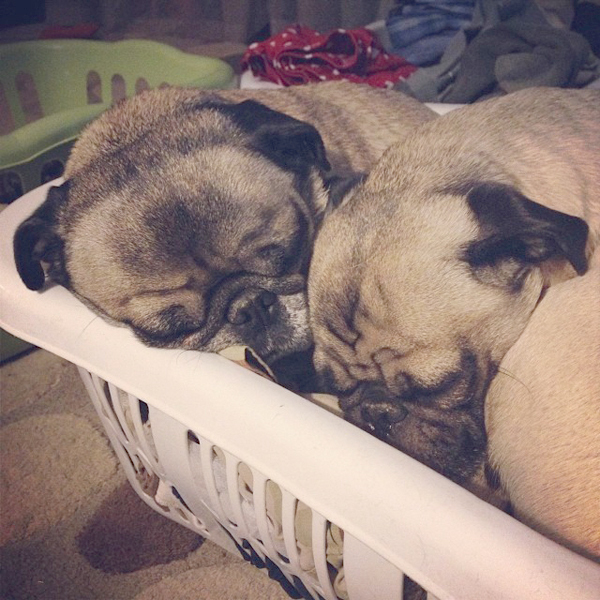 Despite having four soft fluffy beds, they chose to snuggle into the laundry basket I was trying to fold clothes out of. 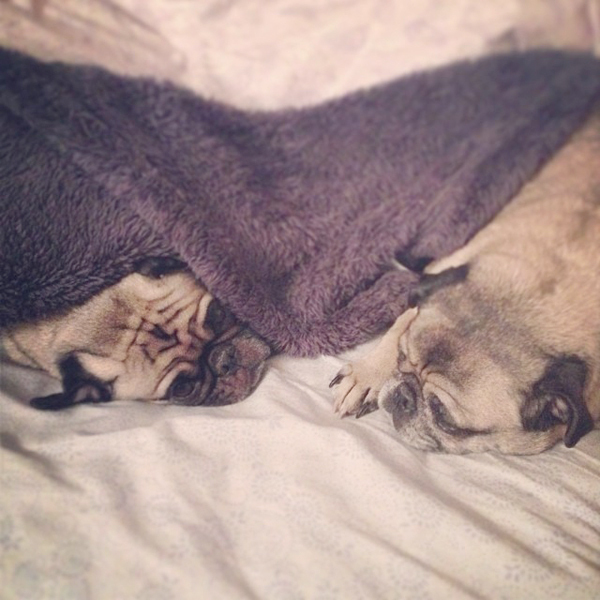 They were extra hard to get up in the morning.